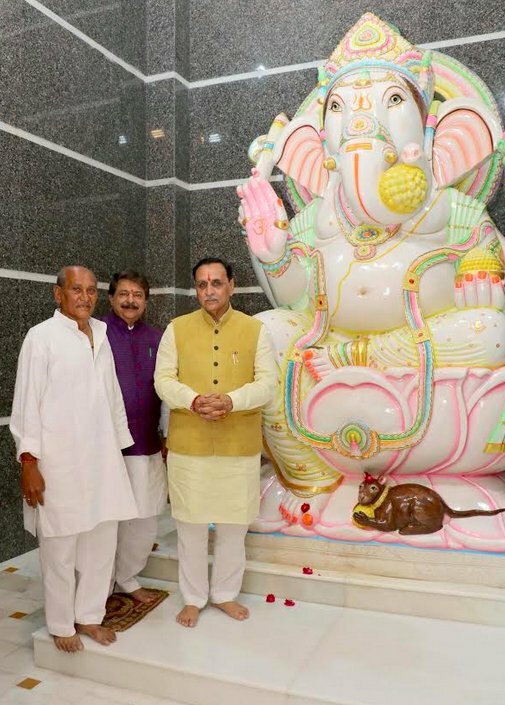 Vadodara: BJP MLA Yogesh Patel led Satyam Shivam Sundaram Samiti in Vadodara has installed a 28 tonne weight Ganesh murti which is claimed to be the biggest Ganesh murti made from single stone. The murti is 11.25 ft tall. 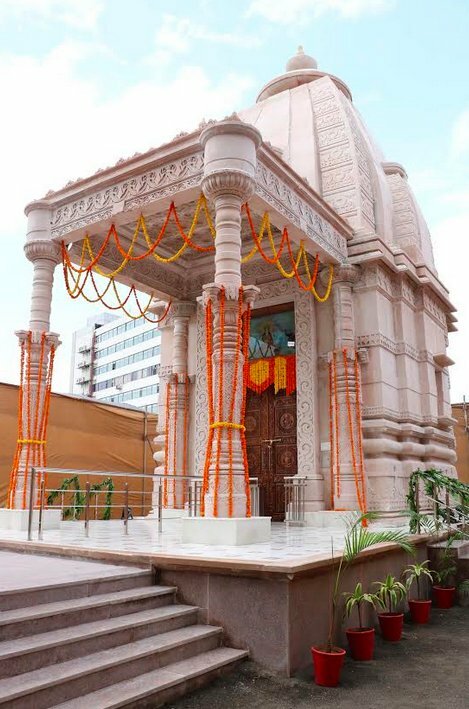 It is installed on permanent basis at Jagnath Mahadev temple in Vadodara. Gujarat Chief Minister Vijay Rupani, Speaker of Gujarat Assembly and city MLA Rajendra Trivedi, Dabhoi MLA Shailesh Mehta(Sotta), local MP and others were present on this occasion. Vadodara is considered capital of Ganesh utsav festivities in Gujarat. The city has significant Marathi population. It was the capital of Baroda State of Gekwads(Maratha). Yogesh Patel led Satyam Shivam Sundaram Samiti’s next plan is golden conversion of tall Shiva Statue in the middle of Sursagar lake.